I have always had a dog since I grew up on a farm. We had Sheep dogs which were pets. I also had my horses to care for too. As I am now 65 years old I have had quite a number of doggies friends, each one special. Now that I am no longer working, and I love dogs and feel I would like to look after your dog and exercise them with my own. My partner just recently had to have is Lab-Retreiver put to sleep as he was very old (17) so we are missing not having the extra dog here for company for my dog. My dog is a Silky Terrier x with some other dog (Not quite sure what) as she is a rescured dog. I have had her 9 years. I walk my own furkid each day to the park where she loves to run. We also sometimes go down to the river for a walk. I would love to take your doggie with us. I wil look after small and medium sized doggies. 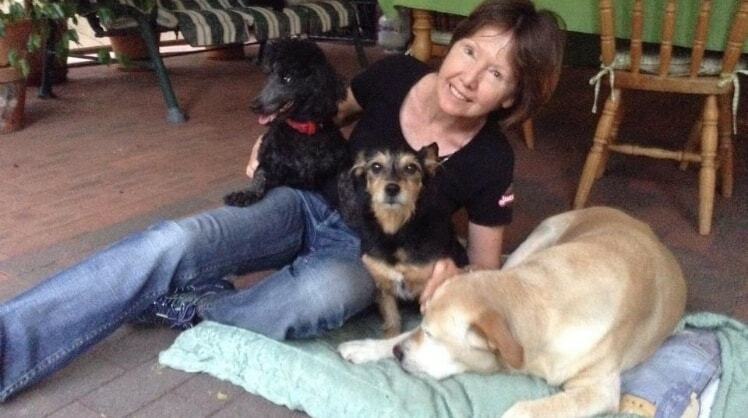 Gaye is a true animal lover and cares for your fur-kid as if it were her own. Beautiful big backyard for doggies to play and explore and our 2 fur-kids were treated to a bone and a daily walk during their stay this weekend. Gaye is the best! She took such great care of Benny over the past 2 weeks and sent regular photo updates so we were able to travel in peace. Gaye asked me for opinion before accepting a new pet sitting job to make sure Benny would be able to get along with the other dog, which shows great respect for both pets and owners. She even provided extra kibble when Benny's biscuits ran out in the last few days of stay. Benny also got a bath on the day before we picked him up, so we can receive a clean and nice-smelling puppy! Lastly we really appreciate Gaye keeping Benny's eye area clean, there is no accumulating gunk or staining as is usual for most white dogs. Without a doubt, Gaye will be our go-to dog sitter in future!